Shrimp King Atyopsis is a powdered food that is specially formulated to provide a biologically balanced diet for freshwater fan shrimp. 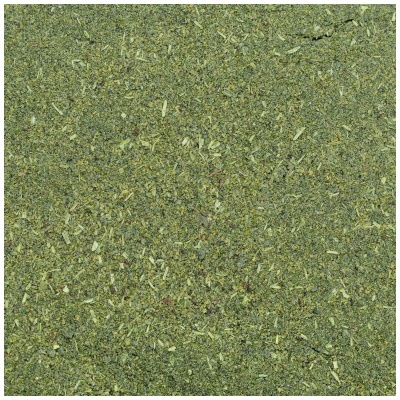 All essential nutrients, building blocks and vital substances are included for healthy, balanced growth and brilliant colors. 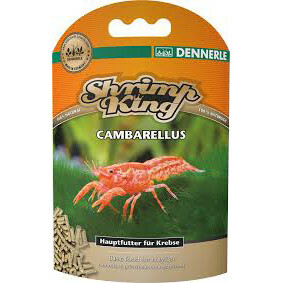 The ideal particle size allows for effective feeding and reduced water pollution. 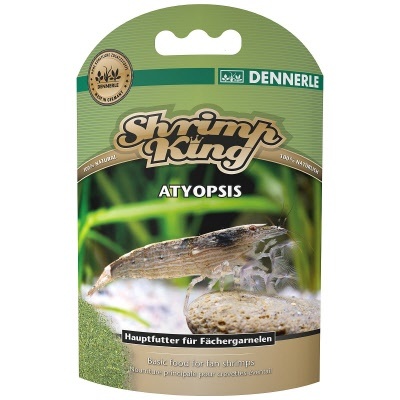 Guarantee: Like all Dennerle Shrimp King food formulas, Atyopsis is made without artificial preservatives and colors, and without fish meal. 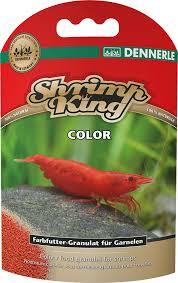 Shrimp King Atyopsis includes all crucial nutrients and building blocks fan shrimp require every day. 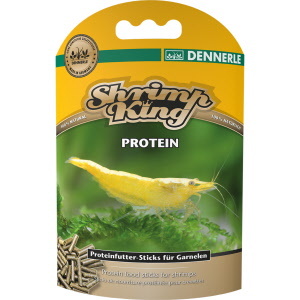 Top-quality proteins and important amino acids from insect larvae and crustaceans encourage balanced development and successful reproduction. Vitamins and secondary phytochemicals from assorted kinds of algae and vegetables serve as “lubricants” for an active metabolism. Fibers help with digestion, while natural carotenoids aid with the full development of the different colors and patterns of each species. 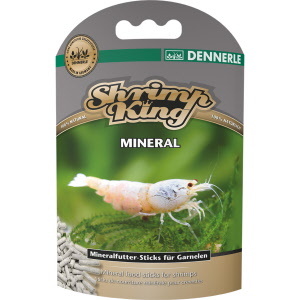 Each dietary serving contains diverse nutrition because of the variety of ingredients.